The church was built after the graveyard opened. Number of interments: Unknown. More than 1200 known graves. The sign on the fence reads: “Old Burying Ground. 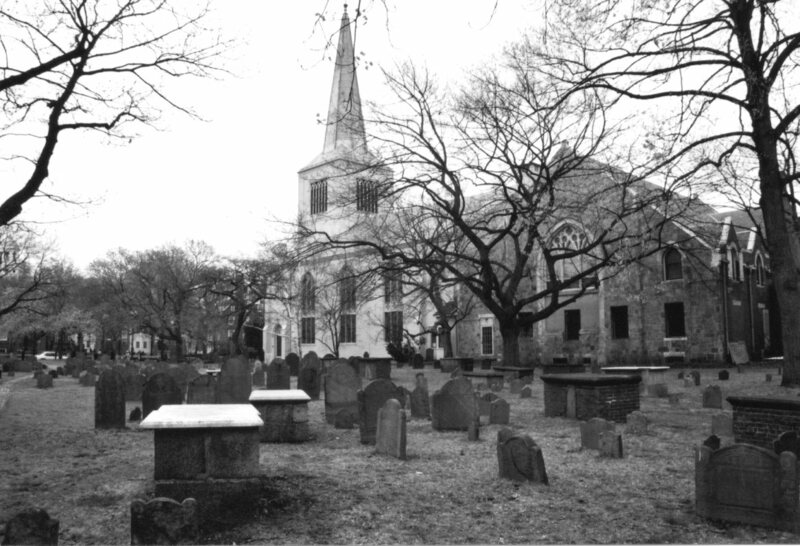 Burial place of old settlers, Tory landowners and slaves, soldiers, presidents of Harvard, and prominent men of Cambridge.” Founded in 1635, the Old Burying Ground served as the only graveyard for the city of Cambridge for over 200 years. It was linked with nearby Harvard University since the school received its charter in 1636. Eight Harvard presidents rest here, including 3 of the first 4. The university decided to honor them in 1846, but not all of them had headstones that had survived. Harvard apparently opened several graves, then decided one held the man they wanted. The remains, wrapped in a tarpaulin stuffed with tansy (to mitigate the odor of decay), might actually be the town’s second minister, who died in 1668. The graveyard holds the remains of at 19 soldiers who fought in the Revolutionary War. In 1870, with centennial fever lighting the town, a granite shaft was erected by the townsfolk to the memory of the men who’d died for freedom. Among them were two black slaves, Neptune Frost and Cato Stedman. They are honored with a sign on the fence. The exact locations of their graves are unknown. I suppose it’s not surprising that so much history has been lost. 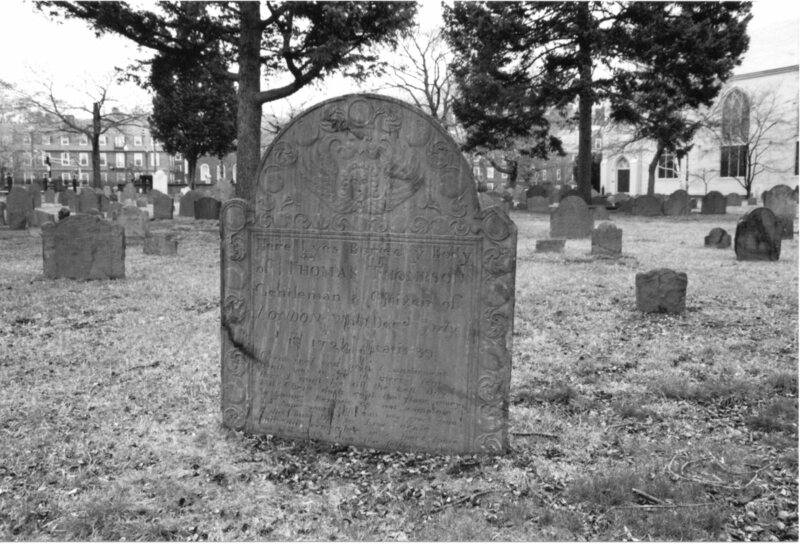 The oldest headstone in the Old Burying Ground belongs to Annie Erinton, died 1653, although it may have been placed later. Headstones themselves didn’t become common until the 1670s. Even after that, the burial ground was used as a sheep pen and city records lament the shameful state of the graveyard over the course of its life. Still, much that is beautiful remains. Marilyn Yalom points out in The American Resting Place that, in the Old Burying Ground, you can see graveyard iconography in flux. “In the oldest section, death’s-heads dating from the 1690s are lined up shoulder to shoulder… Midway across the field, angels with curly hair and soaring wings, dating from the 1730s and 1740s, begin to infiltrate the death’s-heads.” The final part of the graveyard is adorned with urns and willows from the end of the 18th and beginning of the 19th centuries. My post on the evolution of death’s-heads is here. Cambridge opened a new graveyard in 1811 and burials in the Old Burying Ground dropped to a trickle. Richard Henry Dana Jr., author of Two Years Before the Mast, was one of the last people to be buried in a family tomb in 1879. The last person to be buried there was Christ Church’s minister Gardiner Day, whose ashes were interred under a path in 1981. Fodor’s thinks the graveyard is spooky. 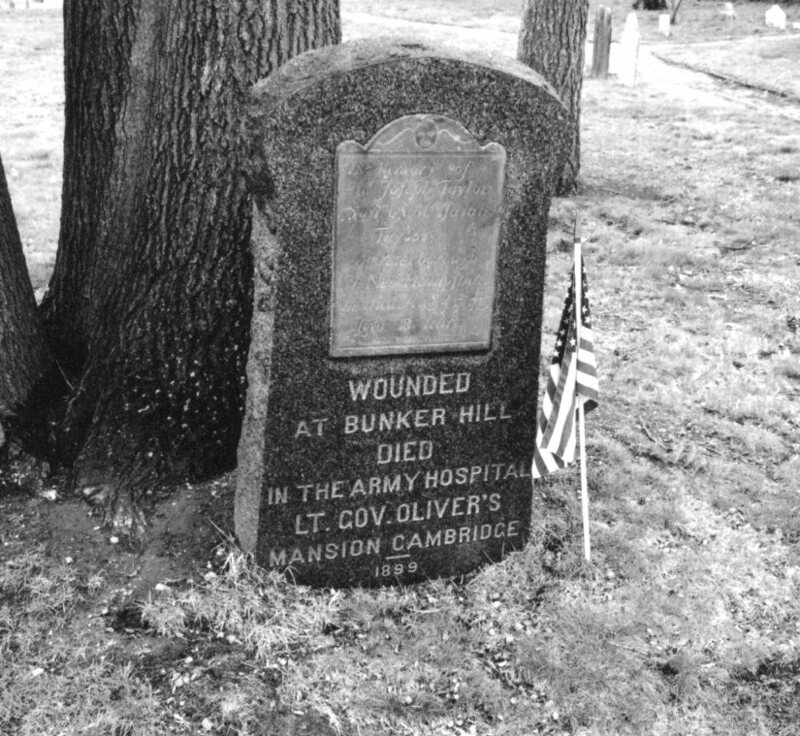 This entry was posted in Cemetery of the Week and tagged Cambridge cemetery, Massachusetts cemeteries, Old Burying Ground, Revolutionary War graveyard. Bookmark the permalink.